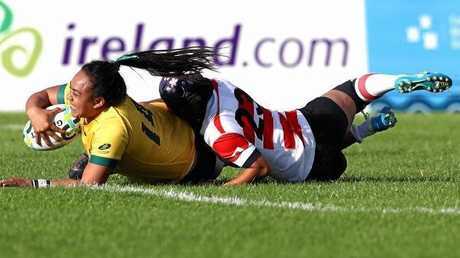 AUSTRALIA will battle host nation Ireland for fifth place at the women's Rugby World Cup. 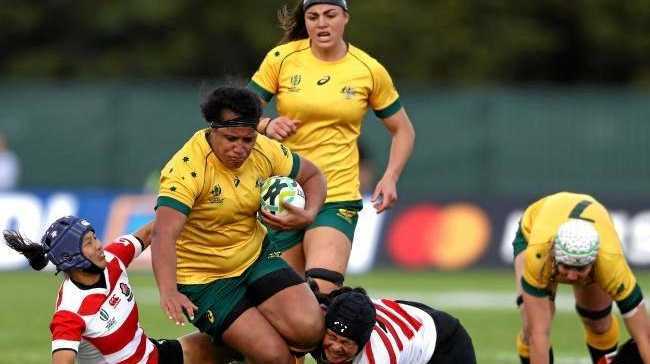 The Wallaroos set up Tuesday's clash after claiming their first win of the tournament when holding off Japan 29-15 at Billings Park to secure third place in pool C.
Australia led 19-0 just before the break following tries from Samantha Treherne, Grace Hamilton and Mahalia Murphy. Japan got back to within four points with 17 minutes left before the Wallaroos regained their composure to score two more tries to Nareta Marsters and another to Treherne. Australia finished behind France and Ireland in the group. "We can't make the semi-finals with one pool win, but we still have a lot to play for," Australian coach Paul Verrell said. "We'll head to Belfast with the goal of finishing as highly ranked as we possibly can to ensure we can compete at the next World Cup. "We also want to continue to build as a team and create a Wallaroos program that girls back home want to be a part of." France, which crushed Australia 48-0 in their last match, remained undefeated in the group after beating Ireland 21-5 on and will play England in the semi-finals. New Zealand secured a semi-final berth with an eight-try thumping of Canada. The Black Ferns will play the United States for a place in the decider. Canada and Wales will contest the other fifth-place playoff semi-final.